Lam's Kitchen - Promotions & Updates Lam's Kitchen - True Flavors From The Heart. The Latest Updates On Promotions & Offers! 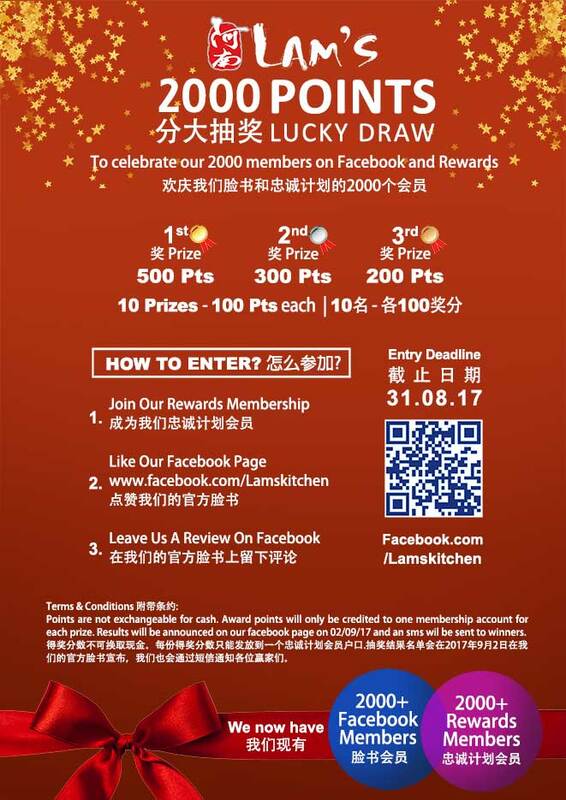 To celebrate our 2000+ members in Facebook and our Rewards Program, Lam's is giving away 2000 worth of points! 1. Become a member of our Loyalty Rewards program. 3. Leave a Review on our Facebook Page. Award points are not exchangeable for cash. Award points will only be credited to one membership account for each prize. Results will be announced on our facebook page on 02/09/17 and an sms wil be sent to winners. Receive 1 Point for every $1 spent at any of our participating outlets. 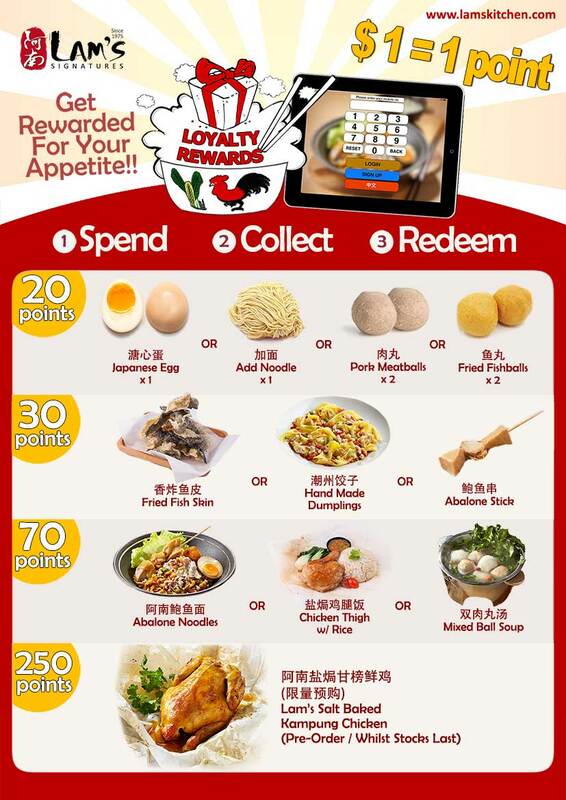 Collect points and redeem them anytime you want. The more points you collect the bigger the rewards! Visit any of our participating outlets and use your mobile number to sign up on our customer ipads. You may also use our contact form to submit your (i)Phone number, (ii)Name & (iii)Date of birth, via email and we will help you sign up! Lam's Singapore will not make use of your personal information for any form of marketing or telecommunications. All telephone numbers are strictly used only for ID purposes only.